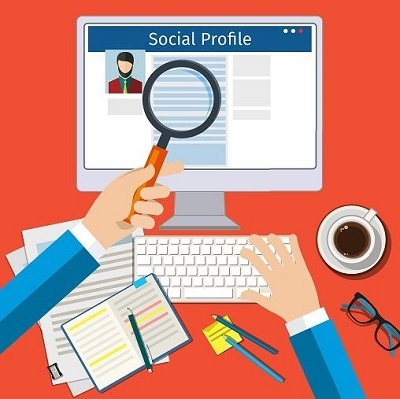 Do you Google candidates' names or check out their profiles on Facebook, Twitter or LinkedIn before you hire? Do you know the new legal risks of advertising on social media and online? And what if you learn that a current employee has tweeted racist comments – can you fire him? The new tools of online recruiting and hiring have created shocking legal risks for HR, employers and management. Don't hire (or fire) another employee until you know the legal risks and best practices of e-hiring! On Friday, May 3, our new fast-paced webinar will teach you how to use these online tools to hire smart and stay out of legal trouble. What's the line between prudent due diligence and illegal discrimination or invasion of privacy? Are current employees' violent or racist postings mere "venting" … or warnings of workplace danger that you need to act on? The new rules of online recruiting include many legal landmines. In just 75 minutes, you'll learn how to navigate this brave new world to stay in compliance … and out of trouble! P.S. Registration Bonus. Everyone who signs up will receive a copy of Hire at Will, which helps you hire whoever you want without fear of huge jury verdicts. Your hiring practices are under scrutiny like never before. Laws and regulations have turned the hiring process into a bureaucratic nightmare rife with potential lawsuits. This 68-page special report is packed with advice and real-life examples to help you hire who you want without fear of huge jury verdicts. This $39.95 book is yours free, IF you register today. P.P.P.S. We promise you'll be satisfied. If Online Recruiting & Hiring fails to meet your needs in any way, we will refund 100% of your tuition – no hassles, no questions asked. 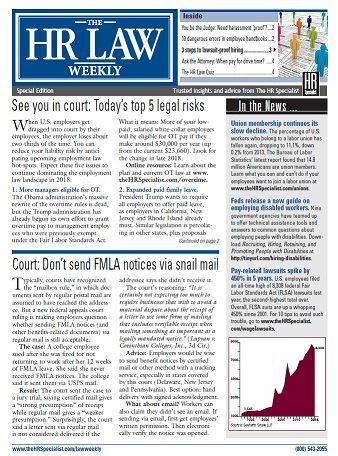 Your conference materials, registration bonus and 5 issues of The HR Law Weekly are yours to keep.